Dred Scott was a man who sued to be free of slavery. After a series of decisions, the case would reach the Supreme Court. In a shocking decision, the Supreme Court ruled against Scott. The decision would contribute in part to the Civil War between the North and the South. 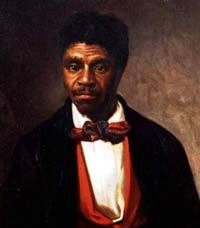 Dred Scott was born Sam Scott in the State of Virginia. He was born a slave to the family of a man named Peter Blow. His older brother was named Dred and he died young. To honor his brother, Sam took on his brother’s name. The Blow family eventually relocated to Alabama and then, in 1830, to St. Louis, Missouri. In St. Louis, the family sold Scott to an army doctor named John Emerson. In 1836, Scott married a slave named Harriet Robinson. They would have four children, two daughter’s and two sons. The sons, sadly, died before they were one year old. John Emerson passed away in 1842 and Scott made an offer to his widow to buy his freedom. She declined the request. Dred Scott would file suit against his new owner. Unfortunately, historical records are not complete and the circumstances surrounding his challenge and his lawyer’s arguments have been lost. It is known the case went against him, but later, evidence of hearsay emerged and he was back litigating in a new trial. In this new trial, the jury in the federal court case in Missouri would side with Scott on the grounds that he was illegally held as a slave when he was brought with the family to the free states of Wisconsin and Illinois. Emerson’s widow appealed in court and she won the appeal. This case, in 1852, ignored 28 years of precedent in its ruling. Scott was ordered to return to the ownership of Emerson. In further litigation, the late Emerson’s brother in law became the executer of the estate and took over as the defendant in future Scott litigations. Rather than deal with state courts, it was decided to go into the federal courts. Scott lost in federal court and filed another appeal. This would reach the Supreme Court in the form of Dred Scott vs. Sanford. The Dred Scott decision was appalling. It stated that, in part, slaves were not U.S. citizens per the Constitution and, therefore, Scott had no standing. He was ordered to be returned to the Emerson family. Widow Emerson eventually remarried to an abolitionist who eventually led his wife to agree to return Scott to the Blow family. The Blow family no longer believed in slavery and, once Scott as his family were returned to the Blows, the Scotts were freed. Dred Scott eventually found work as a porter, but he died of tuberculosis not soon after. The ramifications of the Dred Scott decision were significant. Passions were inflamed and many in the north felt the decision was an utter travesty. Such sentiments would eventually boil over into the Civil War.